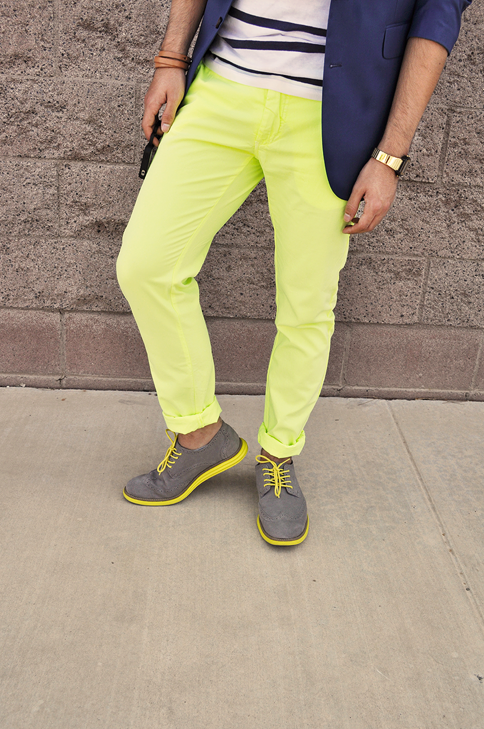 Neon/highlighter colors are just too good to avoid. 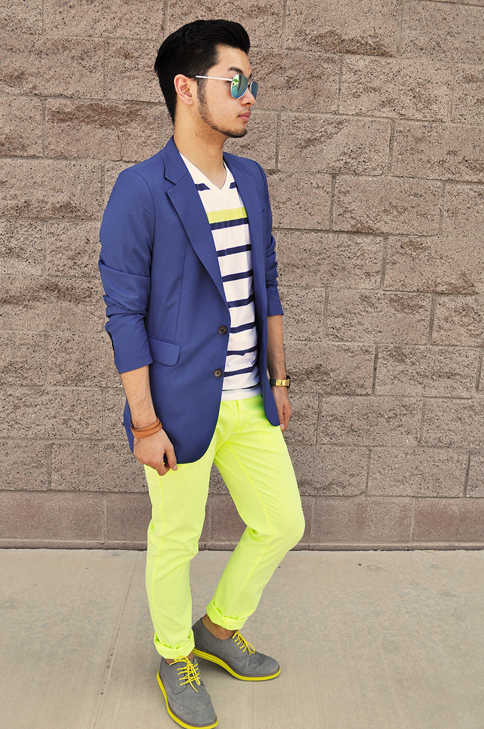 I love the bold statements these particular colors create and this look is no exception. 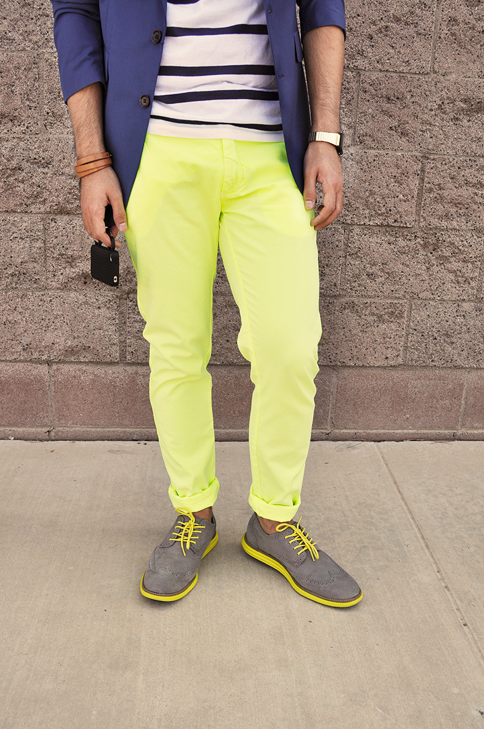 I knew my trousers were already going to be the "highlight" of the outfit, but I wanted to take this trend a step further. 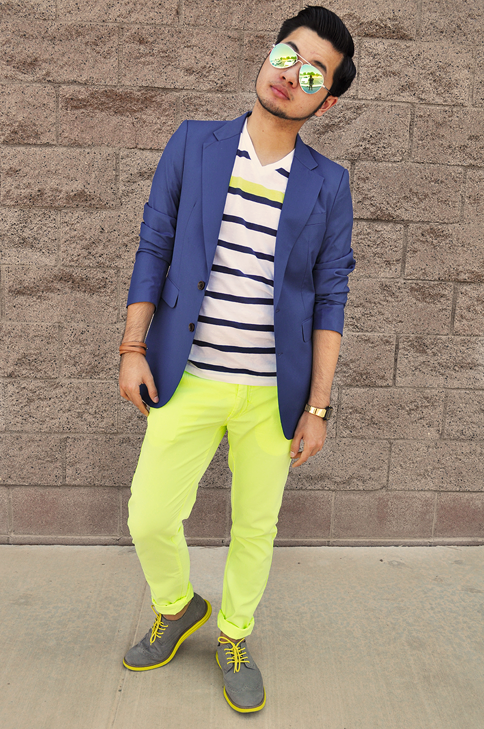 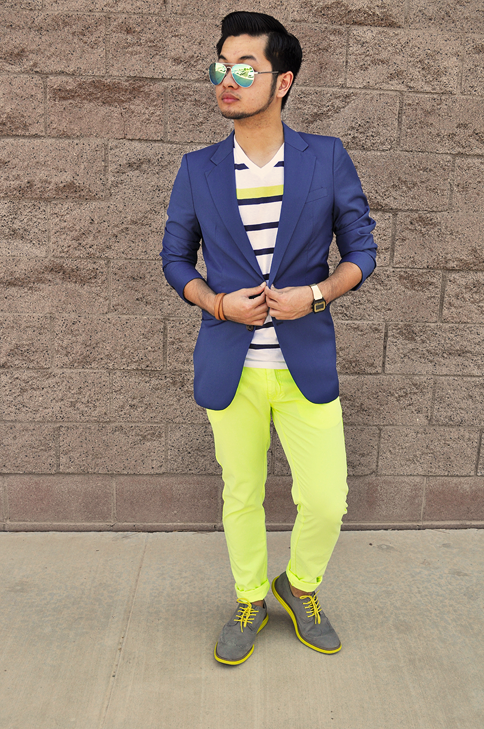 I paired these trousers with a striped shirt, which includes a neon stripe across the chest, and a pair of shoes with bright colored soles. 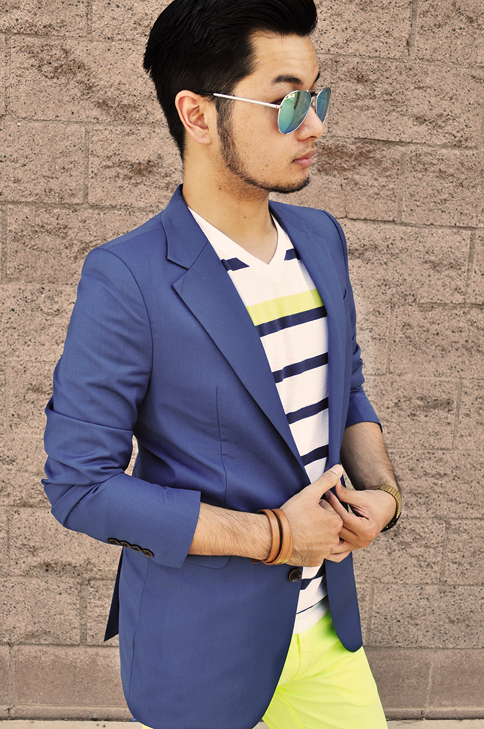 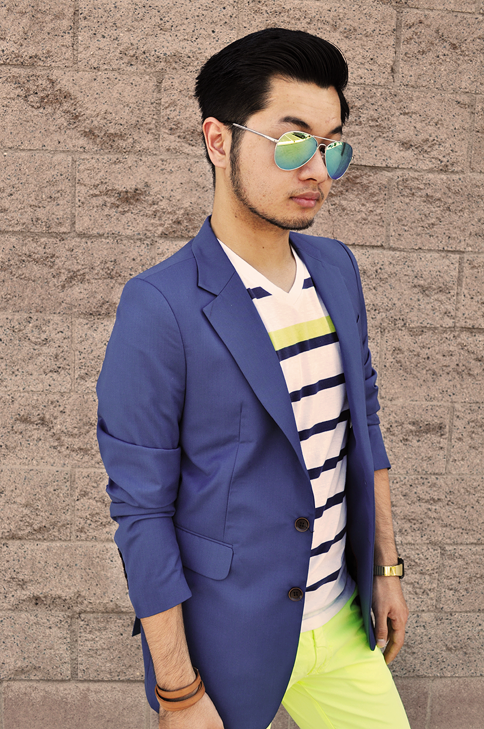 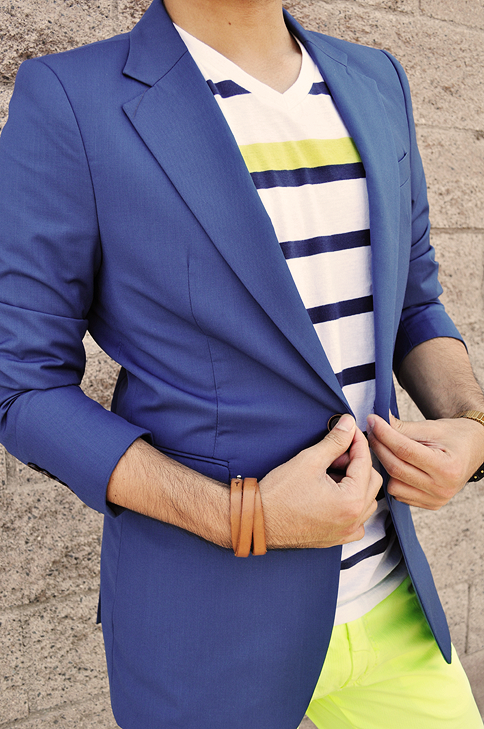 A blue blazer and a few accessories finish off the look. 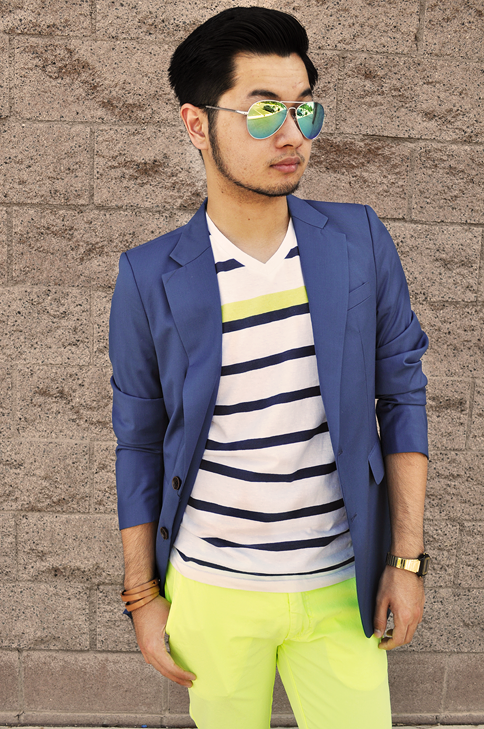 Sometimes, you just have to take risks!